This mini is loaded with technical features like our Carbon Max Laminate Technology and NS SuperLight Wood Core. Take your riding to the next level. The Mini Proto is a super stable, mid flex, all mountain twin dominator for kids. Ride anything you see. Own everything you ride. Vario Power Grip Sidecut - utilizes multiple radiuses creating extra contact points to enhance edge hold. A flat section in the rocker area provides a broad contact point when flexed, however when unbent allows the board to track straight and not catch. Flanking this straight section are two shallow radiuses which provide the second and third contact points. Towards the ends of the sidecut are deep radiuses which render quick turn initiation and the final contact points. The Chairman Power Grip Sidecut has two more radiuses for additional edge hold. Low Profile Tip/Tail - A low profile in the nose and tail of the snowboard maximizes material contact with the snow for more powerful ollie/nollie pop and adds stability to your landings. LOW PROFILE TIP/TAIL also reduces the plowing effect in the nose for better glide to the next feature and superior float when it’s deep. Bi-Lite Fiberglass - BI-LITE fiberglass combines many of the strength characteristics of STS ADVANCED fiberglass with an ultra light glass fiber matrix. 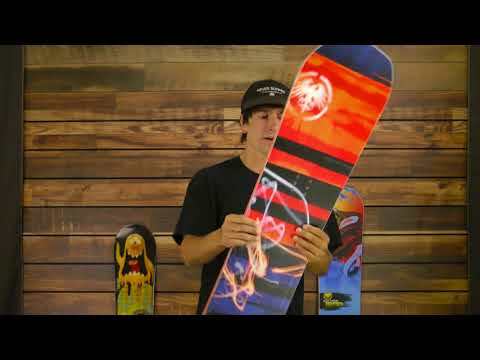 This delivers incredible freestyle and freeride performance without sacrificing durability. NS SuperLight Wood Core - Taking our custom flight core even further, we’ve designed the SUPERLIGHT WOOD CORE specifically for our new Carbonium series. This core blends extremely light wood with durable hardwood for unmatched strength to weight ratio. Perforated Rocker Pad - Perforated to reduce weight, these thin elastomeric pads are strategically located in the mid-section of the Proto HD/Proto HDX. This absorbs the vibration between the feet and provides a buffer in the rocker area, which is in continuous contact with the snow. RDS 2 Damping System - This lightweight system uses three narrower laminated damping layers that provide the perfect combination of vibration absorption and stability. RDS 2 is the perfect balance of freeride stability and freestyle liveliness. Elastomeric Underfoot Stabilizers - Elastomeric Rubber Stabilizers directly below the mounting area provide optimum vibration absorption and increase high-speed stability while reducing foot fatigue. Harmonic Tip/Tail Damper - in the tip and tail take out a high percentage of residual vibration by quieting the nose and tail. This enhances stability at speed, in variable snow conditions and on board landings without deadening the liveliness and pop of the cambered areas.